Have you been recently blacklisted as a malware distributing website or a blog ? If you did not plan on being a malware website or blog then you must take action before Google removes your site from their searches completely. This could be a SEO disaster. Before understanding how to remove malware let us first understand various tools and techniques to find out if a website or blog is infected with malware. After scanning and detecting the malware we can then remove malware completely. Sucuri is one of the best options to scan and detect malware on online websites. 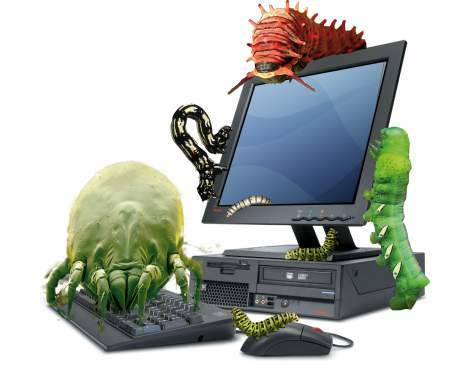 If a threat is found, the scanner lists the infected files and also points out type of malware or infection. The tool also points out to the lines of suspicious code. Site Advisor is another tool which can help understand current reputation of the website or blog. If your website or blog’s reputation is marked as suspicious then there is every reason to worry about it. This is usually due to malware present in your site. In that case you need to perform a more thorough site scanning. Google provides it’s own version of scanning and malware detection tool called Google Safe browsing api. Every webmaster gets alerted via Google webmaster page when there is any suspicious or malicious code found on your website. In order to perform the test type http://www.google.com/safebrowsing/diagnostic?site=yoursite.com URL in your browser and replace the domain name from yoursite.com to your domain. This should be easy if you are technical enough to complete the setup. Use the software called iScanner. This is a free software that can detect and remove malware automatically. This software needs to be installed directly on the server hosting your website or blog. This is one of the easiest way to remove malware. Here all you need to do is replace the website with a copy of your back up. This would remove malware infections fastest. If you have a WordPress blog then this could just means that you hit the update button in your WordPress dashboard. That should replace all your infected WordPress files with new ones from the WordPress repository. If you have any WordPress plugins and themes you can use the same mechanism of just replacing them. Since all the settings are in the database you should not lose them when you remove malware by this mechanism. The second option is to identify individual files that are causing the malware. Some of the tools like Sucuri mentioned above can point out the files and lines of code causing the malware. You can then either remove the files or code causing the problem and in turn remove malware. This is definitely a time consuming option and should only be done if you do not have a non infected backup. Share with us if you have more ideas.